Sourcing specialty coffee is typically a fairly straightforward process, but every now and then you come across specialty coffee beans that you have to jump through some hoops for. Our latest offering, Burundi Nemba, was one of these oddities. We collaborated with Kickapoo Coffee to find and source this specialty coffee through a local Burundian exporter, Greenco. Greenco is a force to be respected in Burundi. Not only do they export delicious specialty coffees, they are tuned in to the needs of local farming communities and carefully implement strategies that help tackle their social and economic issues—like unsustainable profits and decreasing yield on coffee farms. We were thrilled to work with them, but we ran into a problem: the coffee didn’t cost enough. Generally, it’s a good thing when you get to pay less than you were expecting for something you want—but that’s not how we or Kickapoo do things. We both have a ‘minimum price guarantee’ to ensure that farmers we work with are paid fair, sustainable wages. It’s our way of helping empower and protect vulnerable farming communities around the world. Here’s why we couldn’t just write a bigger check. 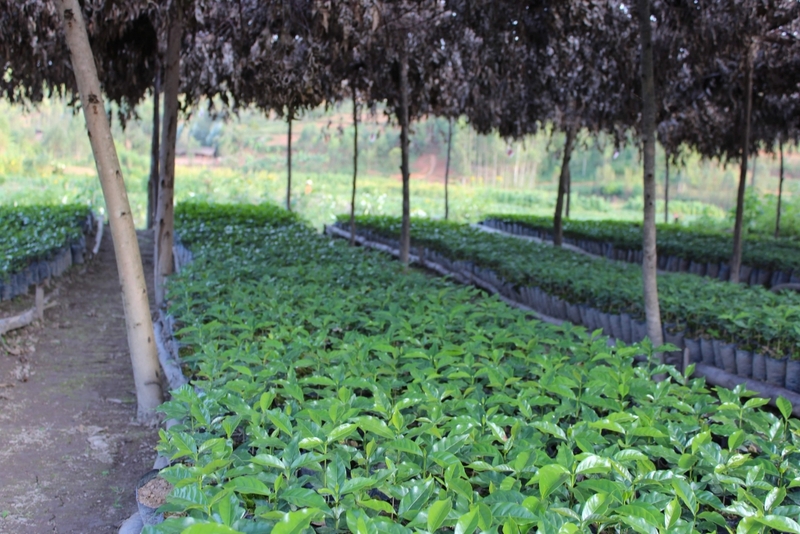 Greenco’s model involves paying local farmers on the spot when they deliver coffee cherries to Greenco’s mill. The farmers were already paid. 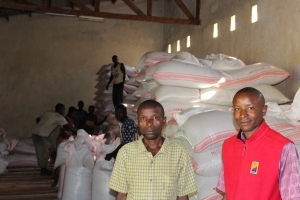 And since there’s a low-degree of traceability in Burundi, it would be extremely difficult to ensure the farmers whose coffee we were buying would be able to get the additional money. We had to find another way to spend that extra ‘minimum price guarantee’ money, and the solution that Greenco offered took us by surprise. Greenco approached their longtime non-profit partner, the Kahawatu Foundation, to find a way that our extra funds could benefit local coffee farmers. They suggested goats. 42 goats, to be exact. 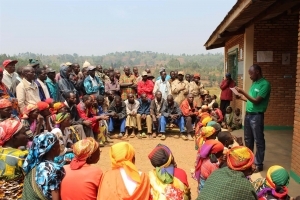 The Kahawatu Foundation quickly established four local village associations comprising of 109 coffee farmers in the Nemba area. 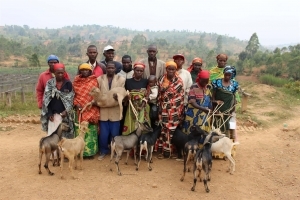 These associations received training on how to become a successful village-based lending group and, at the end of the four-week training, received our goats. These goats would provide milk, which could be consumed or sold. This would give coffee farmers a way to produce income during off-season. 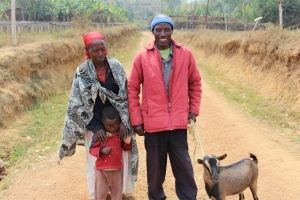 The goats would also reproduce quickly enough for each of the 109 coffee farmers to have their own in just one year. We never intended to participate in Burundi’s goat trade, but in this scenario, it made complete sense. While we couldn’t give the exact farmers the additional income, we were able to still contribute to the local communities in a way that can potentially have long-term impacts. 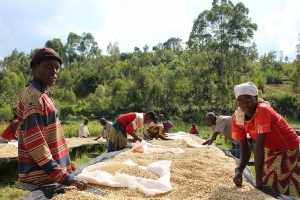 If you’ve never tried one, coffees from Burundi tend to be exotic, complex, and delicious. This particular offering has notes of apricot, orange, red grape, cardamom, and gingersnap cookies. We’re willing to bet it’s a coffee unlike any other you’ve tried. Curious? Check out Burundi Nemba for yourself.